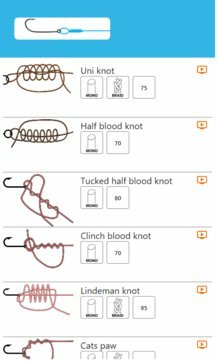 "Fishing Knots" - is a program for your mobile device, showing how to tie knots. Among the many knots fisherman should select and use the right one. In each case - his own. How to knot weakens the fishing line? Which nodes to use for thin fishing lines, and which - for thick? Which nodes can be knit on multifilament fishing line? The encyclopedia contains different type of knots for: binding of two fishing lines; tying leads; attach large and small hooks, baits, lures, swivels; connection fishing lines and the binding cord; and etc. For each knot, tying method is described in detail. 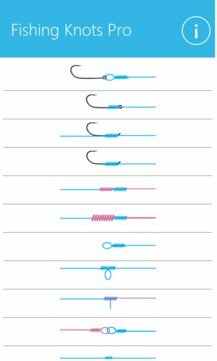 3D image and illustrations of all stages of tying. Selected knots are simple and clear three-dimensional scheme - this is the app "Fishing knots".